Commerce, CA – August 22, 2017 – DECO Lighting, a manufacturer of next-generation LED lighting solutions, is proud to announce that the Vector linear architectural luminaire series has been recognized by the Illuminating Engineering Society (IES) in its prestigious annual Progress Report for 2017. Each year, IES recognizes innovative new products, research, publications, and activities in the lighting community. Recognition in the Progress Report is based on an impartial judging process used by the committee to evaluate each submission for its unique attributes, functionality, and overall performance above industry standards. The Progress Committee sets out to stay up to date with any new developments in the art and science of lighting. The IES committee announced the recognized submittals during the Progress Report at the Annual Conference August 10-12, 2017 in Portland, OR. Detailed information for all winning products can be found on IES’s official web page. In addition, a summary of the Report will be published in the November 2017 issue of LD+A magazine. “We are excited to be awarded such a prestigious award for our new linear platform. We are confident that this is a new revolutionary system that will change lighting forever.” Says Ben Pouladian, President and Co-Founder at Deco Lighting. The Vector is a system of modular linear sections paired with standard joiner accessories to create an endless number of design possibilities for modern interior spaces. Available in standard lengths ranging from 2 feet to 8 feet, the Vector is also joinable to create run lengths in one-foot increments. In comparison to existing architectural fixtures on the market, it delivers unmatched performance with an efficacy of up to 110 lumens per watt paired with a minimum 95 CRI. Additionally, the Vector also provides energy-efficient illumination with an R9 value of 69 or better, incorporating an efficient thermal management system with state-of-the-art LED chipsets. This all-new series of luminaires has been precision-engineered to fit nearly any interior application— with pendant, surface, wall, and recessed styles available to match the specifier’s desired interior aesthetic. 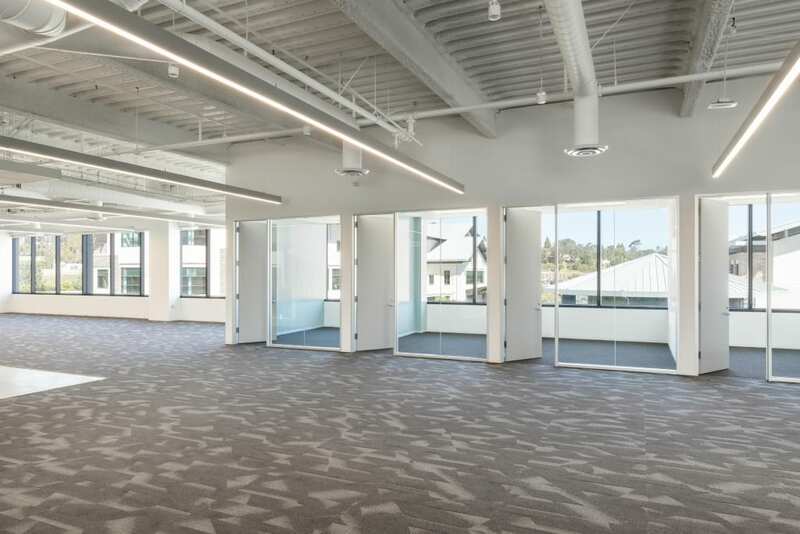 “While there are many companies that offer linear LED slot-style luminaires, few succeed at providing a product with excellent aesthetics, ease of installation and high performance. The Vector has been designed to be quickly and easily installed, with no installation issues. Its clean lines and minimalist aesthetic underscore its design flexibility and industry leading performance,” says Michael Bailey, Director of Engineering and Product Development at Deco Lighting. The Vector series delivers up to 900 lumens per foot of direct illumination and 1200 lumens per foot of indirect output, the Vector is available in color temperatures ranging from 2700K to 4000K. The system also runs at an energy-efficient 7, 10, or 15 watts per foot depending on the output level selected. With uplight and downlight output independently selectable, designers are given the flexibility to create a custom balance of direct and indirect illumination to meet their desired specifications for a space. 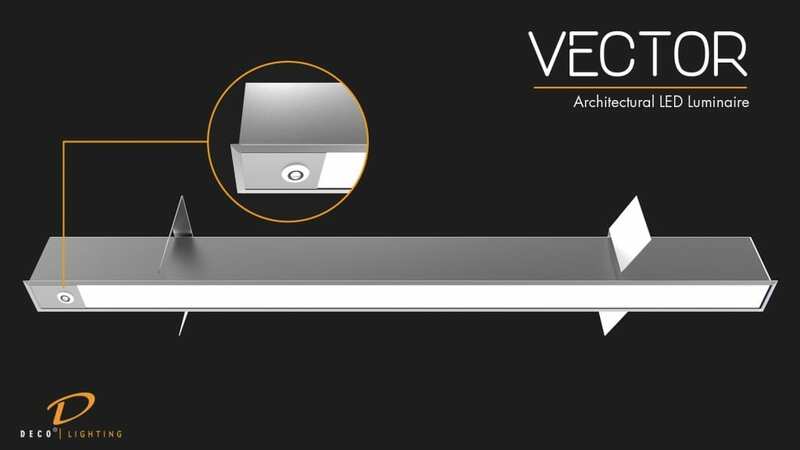 “The Vector system is yet another revolutionary milestone for us; the new line of linear sections not only delivers architecturally aesthetic design, but will also provide our customers the ability to utilize the fixture in various applications. We are thrilled to be recognized in the 2017 IES Progress Report – it is an honor.” Says Sam Sinai, CEO and Co-Founder at Deco Lighting. Equipped with the all-new DECO TUNE™ system, the Vector series brings to market an innovative, human-centric feature that utilizes advanced 5-channel color tuning technology. Along with its independently-selectable direct/indirect illumination capabilities and available 1% dimming option, this innovative feature is designed to be customizable to the desired application and complement scheduled events or the daily routine of inhabitants within a space. Backed by an unmatched 10-year warranty – including labor – the Vector is the optimal solution in energy efficiency and in cost savings. Integration with DECO TUNE™ system, along with convenient wireless control options from partners like Lutron, allows for a unique interior luminaire solution that not only saves energy over traditional lighting fixtures, but one that also actively adapts to the changing needs of modern interior spaces. Deco Lighting is a leading manufacturer of innovative LED lighting fixtures and systems for the commercial, municipal, and utility markets. Based in Commerce, California, Deco Lighting aims to Digitize Your Light™ by offering the latest in energy-saving lighting products and integrated smart control systems prepared to connect to the Internet of Things (IoT). 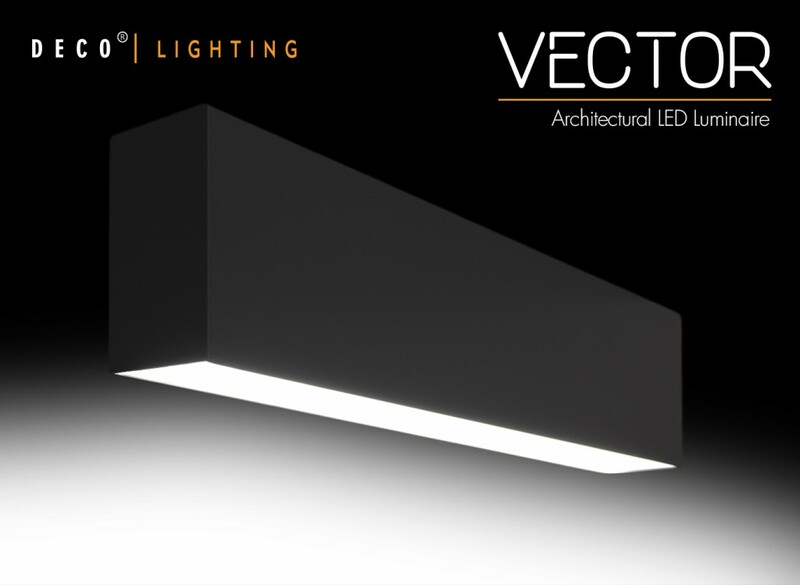 With the launch of the Vector series, DECO is entering into the high-end architectural luminaire space and is scheduled to roll out fresh, design-driven luminaires to meet the demand for quality, high performance luminaires from architects and lighting designers. Continually winning industry awards and patents for their unique US-made products and designs, Deco Lighting utilizes the latest and most advanced lighting technologies to improve lighting quality, increase efficiency, and sustain the environment. Partnered with leading LED manufacturer Nichia, Deco Lighting offers the only ten-year warranty with labor in the lighting industry. Named as one of the Top 100 fastest growing companies in Los Angeles in 2016 by the LA Business Journal Deco Lighting® is a registered trademark and Digitize your light™ is a trademark of Deco Lighting, Inc.